NASHVILLE, Tenn. – Celebrated trio and Homeland Entertainment recording artist Three Bridges is proud to announce the addition of Shannon Smith to the group. Smith, who joins the group immediately, will assume the position of lead singer for the exciting trio. 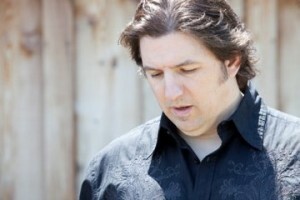 Shannon Smith is no stranger to the Gospel music stage. Smith was the lead vocalist for Grammy Award-winning and GMA Hall of Fame Inductees The Imperials for many years. During his tenure with The Imperials, Smith was nominated for Male Vocalist of the Year in the 2008 SGN Music Awards and was a part of the Album of the Year winning Back to the Roots project. Shannon also had a successful solo ministry for many years and has served as a Pastor. He most recently was a worship leader at a church in North Miami, Florida. Smith is replacing Scott Johnson as the lead singer for the popular trio. Johnson is leaving the road due to health reasons. Three Bridges recently scored their latest Top 10 hit according to the April 2010 issue of the Singing News Top 80 chart. “It Took His Breath Away,” from the Homeland Records release Another Blessing, currently sits at #10 this month. The song has also been a regular fixture on the AbsolutelyGospel.com (formerly SoGospelNews.com) Top 40 Weekly Chart, Christian Voice Magazine Top 100, SouthernGospelTimes.com Top 40 Fan Chart, and other charts.